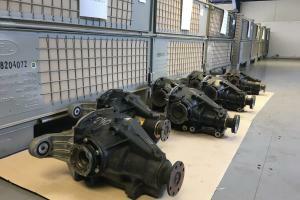 Birds BMW have invested in over 100 brand new rear axle differentials straight from BMW’s warehouse, which are now all available on their newly opened eBay shop. You will find applications to fit E30/E32/E36/E38 models from the E30 3 Series right up to the E38 7 Series, prices ranging from as low as £360 to almost £1000. These differentials, if you were to buy them in this type of condition or from BMW themselves, would cost between £1500 to £2000.